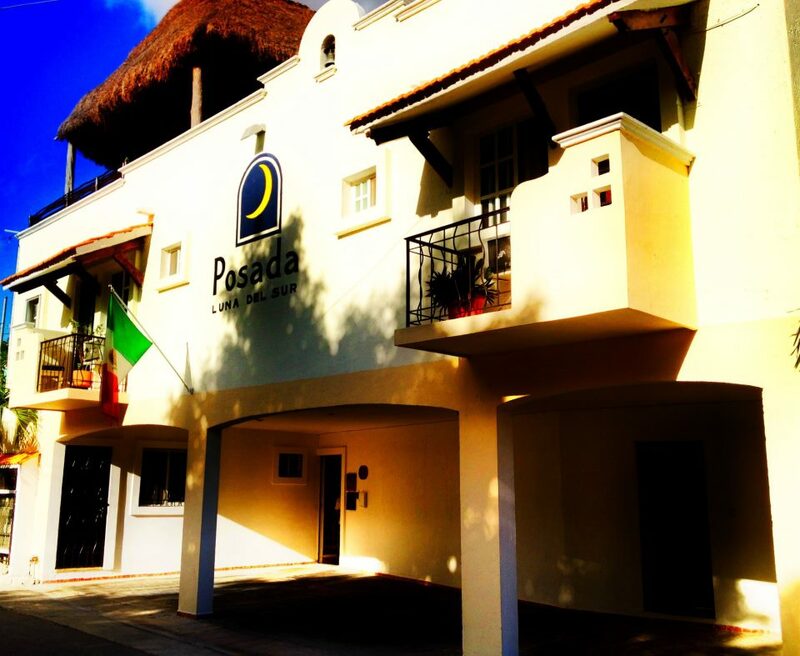 A delightful, intimate, family-run boutique hotel, nestled in the heart of downtown Tulum pueblo, Mexico, which has earned praise for excellence in service and comfort from travelers around the globe. Meticulously maintained, the suites are graciously proportioned and lovingly appointed with a classic Mexican flavor. Spotless clean rooms, bright and airy and fresh white linens inspire care-free times and peaceful dreams. A little gem of unmatched value & service in the Riviera Maya. In fact, Posada Luna del Sur has won The Travellers Choice AwardⓇ for value, service and romance (2014 & 2018) and the ¨Best Bargain¨ award (2015 & 2017) from TripAdvisor for nine years in a row (2009-2018). We have also been featured in Frommers (2009-2012) and Lonely Planet (2009-2014) publications. In early 2017, we achieved the coveted TripAdvisor ¨Green Award.¨ This achievement is awarded to a short-list of ¨eco friendly and environmental conscious hotels.¨ This award is awarded to hotels that have been audited by TripAdvisor. We believe one can still stay in beautiful and enchanting Tulum without breaking the bank and enjoy a clean and comfortable room, with quality amenities and service. We invite you to discover why our guests choose to stay with us, often for longer than envisaged, and what calls them back to this hidden gem time after time!